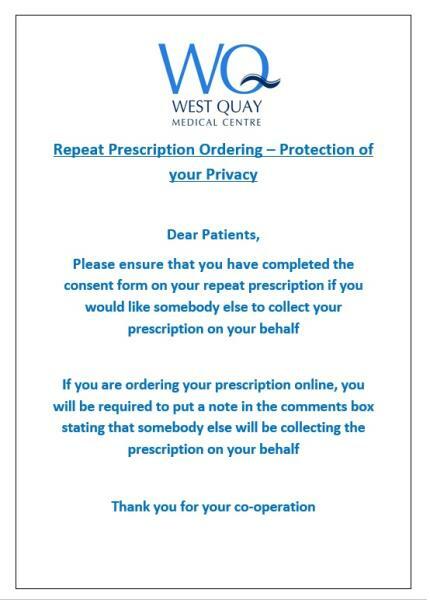 If you are ordering your prescription online, you will be required to put a note in the comments box if somebody else will be collecting the prescription on your behalf. Sometimes, the nurse prescriber or GP will authorise more than one prescription, especially for patients with a long term condition. Please allow 72 hours between requesting a repeat prescription and its availability for collection. We cannot process repeat prescription requests over the telephone as there is a much greater risk of incorrectly administering the request. There is a deposit box for repeat prescription requests located at the front entrance to West Quay and Rhoose which may be used out of hours. A further collection box is located at the main reception desk located on the ground floor of West Quay. We aim to deal with each repeat prescription request within 72 hours. However, if you are due for a medical review due to the length of time that you have been on a particular type of medication, we cannot issue a prescription until that review consultation with the nurse prescriber or GP has taken place. Please also note that it is your responsibility to manage your own medication. 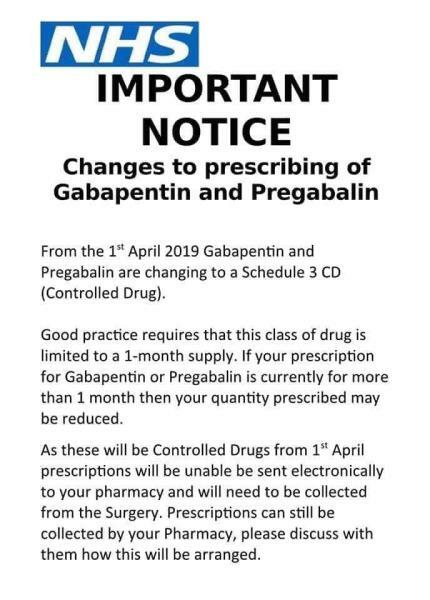 Whilst we understand that you may occasionally forget to order your repeat medications until you have run out, the Practice cannot deal with your requests at short notice. If you are going on holiday, you should also inform us in plenty of time to arrange for your medication to be prepared. If you leave your request too late, the Practice may not be able to process your request in time. Because of ongoing safety concerns with NSAIDs the practice is no longer accepting prescription requests for these medicines. These medicines belong to a group of medicines known as non-steroidal anti-inflammatory drugs or NSAIDs. They can relieve pain or reduce inflammation. Ibuprofen and Naproxen or, alternatives such as NSAID creams and gels (that you rub into your skin) can be purchased at your local community pharmacy. Ask your pharmacist for advice on the best treatment for you.